Brandon from Lactose Intoler-Art sent me over some extra photos from our 1st day together in Tokyo and they were just too good to not share, so here are my Tokyo Yo-Yo Bonus pics, enjoy! 1. 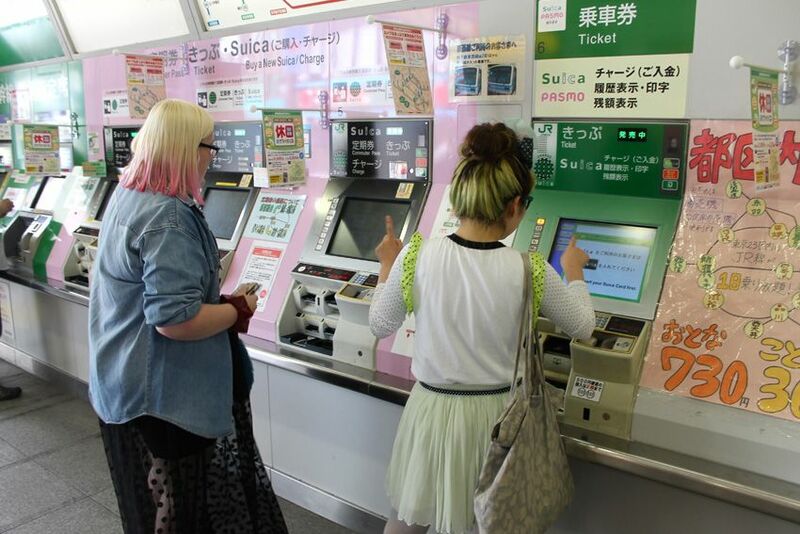 Tavuchi and I with our pink & green hair at the corresponding pink & green ticket machines. 2. 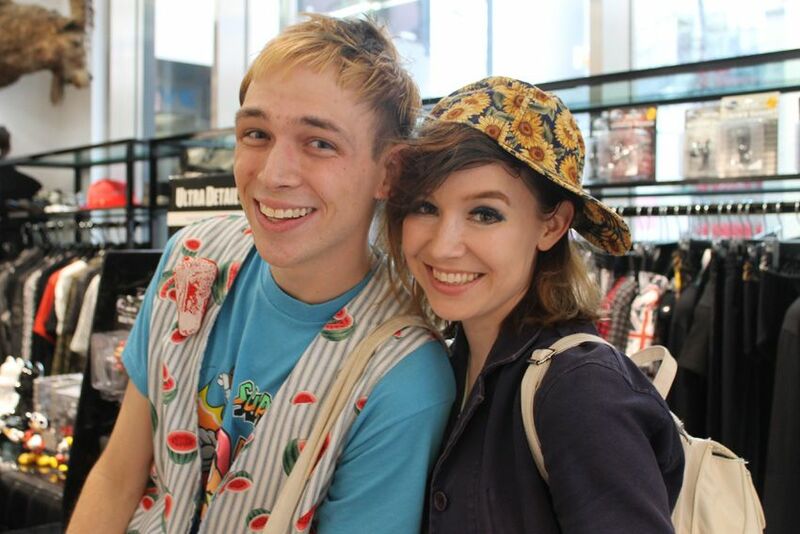 Harajuku hangs. 3. The exciting moment when we bumped into my best friend Hillary in Harajuku, I'm sure our screams could be heard round the world. 4. Hillary and I reunited at last. 5. Brandon & Hillary who met for the 1st time that day but who have been online friends for a while and come from similar parts of the USA (their southern accents are the bestest!). 6. Me shooting Sofie with Nicola Formichetti whilst also being filmed for NHK (every time I'm in Japan I end up on NHK!!!). 7. 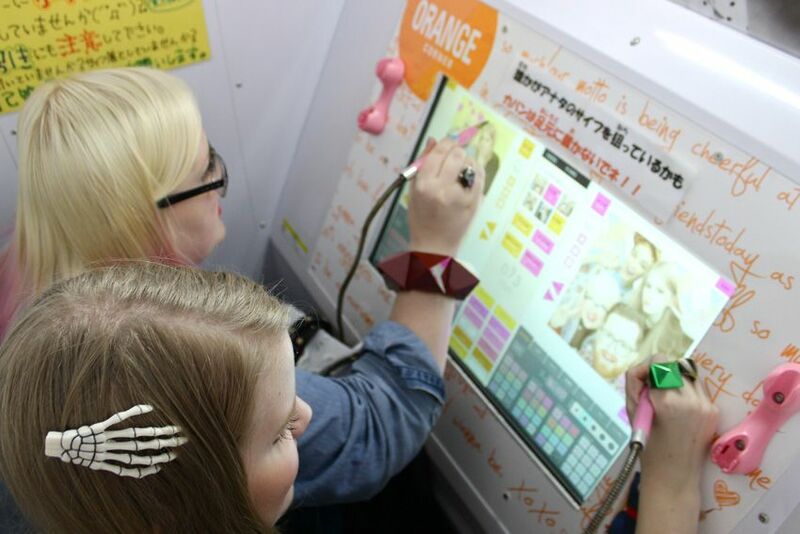 プリクラ (purikura) fun! 8. Brandon and I with the lovely Nadia shop staff. Great pictures :) I love the awesome neon converse platforms the girl is wearing in the last photo - they look fantastic! Tavuchi is one of my style inspirations! You're so lucky to hang out with her! Every time you post you make my day, my dear Hayley. 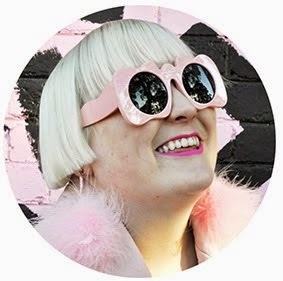 You are my favourite inspiration at the moment, and I wish you did more outfit posts. this is so sick. 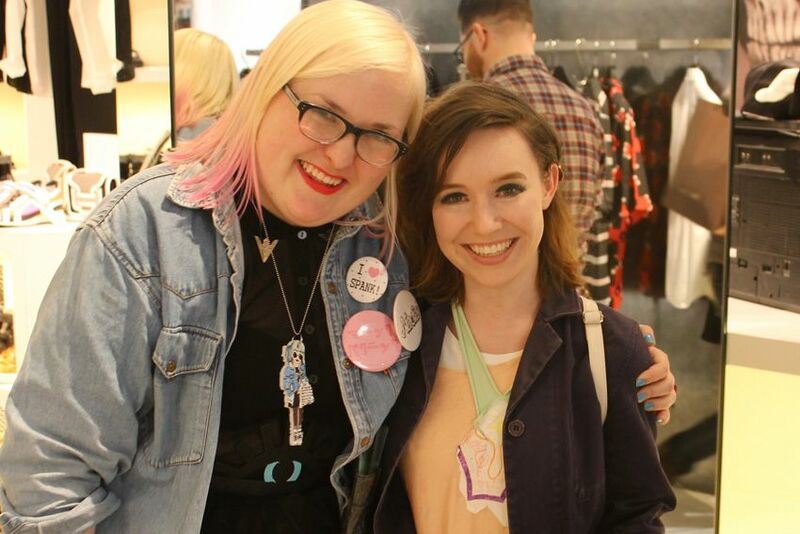 i love seeing aussies like me rocking it - i love your style. your mate's neon platform converses are sick too. hey, thanks for the info, i've since updated the post. it looks very much like garter is the "umbrella" store haha, they have the biggest sign out front etc. Great post! This looks like so much fun!! You look like you're having fun! Love your outfits.